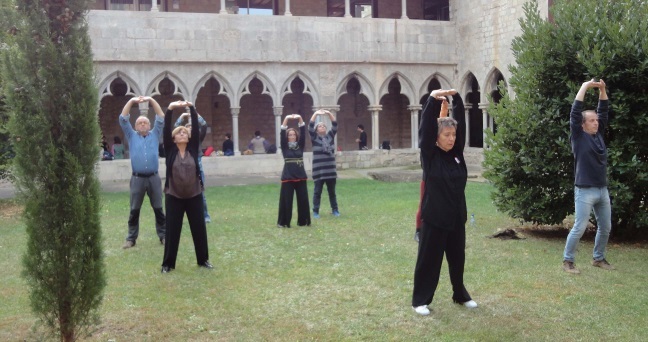 The University of Girona was the scene of cultural exchange between the practitioners of Taijiquan and Qigong. 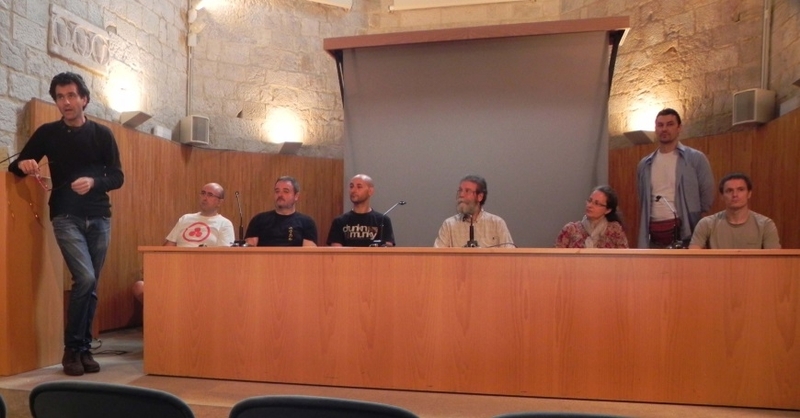 Two intense days in which they were taught various workshops and conferences, also opened a round table to discuss issues related to both disciplines. 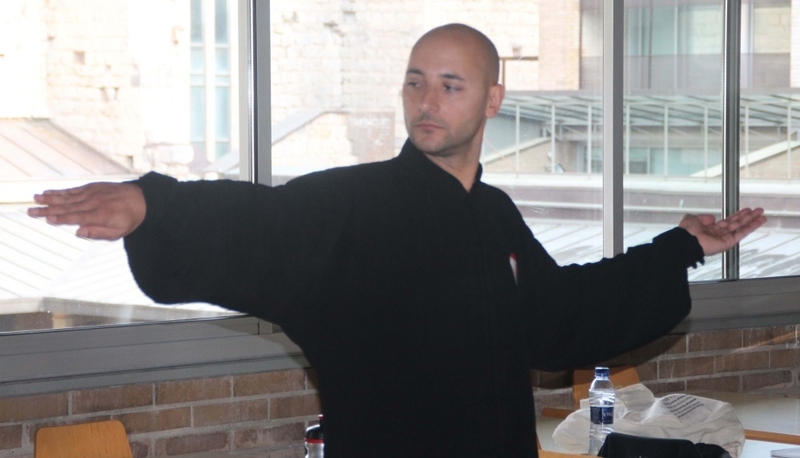 – Enric Mus, practitioner and teacher of Taijiquan and Qigong. Editor – March Hare. – Michelangelo Cabrer, practitioner and teacher of Taijiquan, Qigong e Yiquan. Acupuncturist. Postgraduate Teacher in Japanese Acupuncture. (Classical Acupuncture Association). 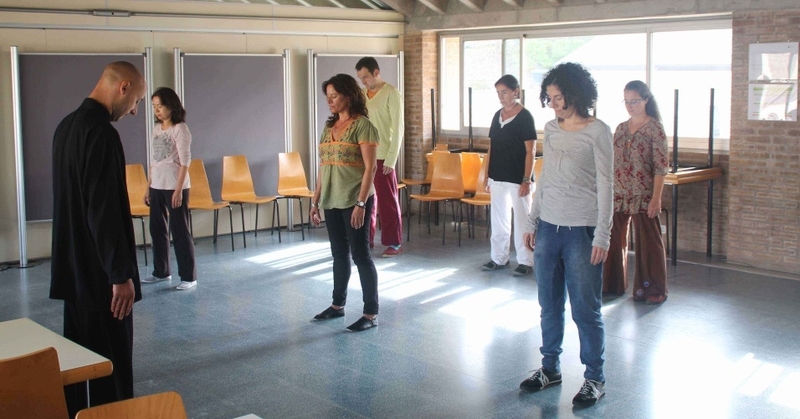 During the first day of the forum, Ivan Trujillo, Qigong Institute Associate Professor of Health held a workshop Qigong Ba Duan Jin, the most popular classic both inside and outside China. He explained the biomechanics and bioenergetics movements as well as physical health benefits, emotional and mental health of each of the exercises. Practitioners were delighted with the explanations of Ivan and the energy experience experienced. 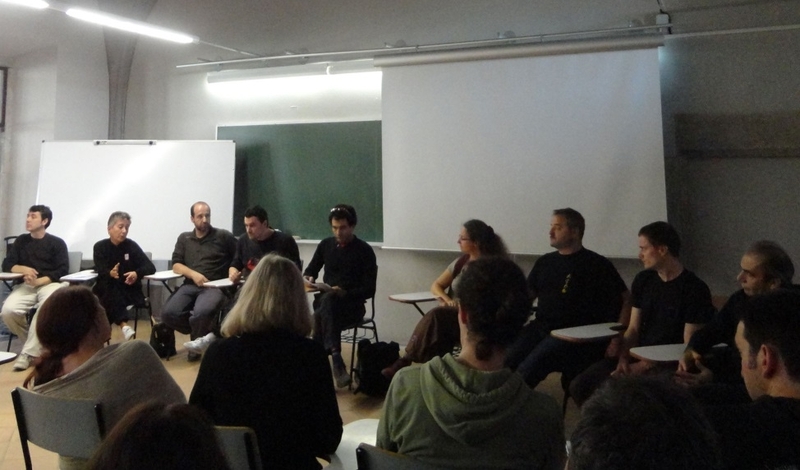 Other attendees included Anne-Hélène Giraud Suarez, Sinologist and translator Spanish, Award-winning Angel Crespo and translation Stendhal. Among his many works are some of the essential works of Chinese thought, as the Analects and Daodejing, and some of the most outstanding poets of the Tang Dynasty, as Li Bai, Wang Wei o Bai Juyi. 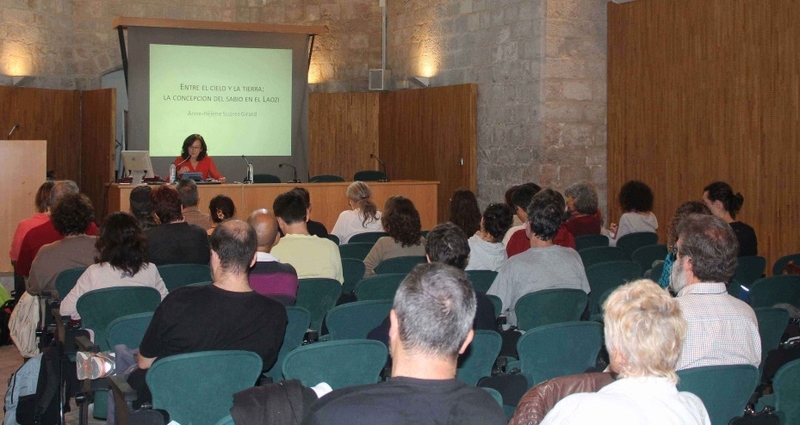 Anne spoke on "Between Heaven and Earth, the conception of the sage in the Laozi "that captivated the capacity. 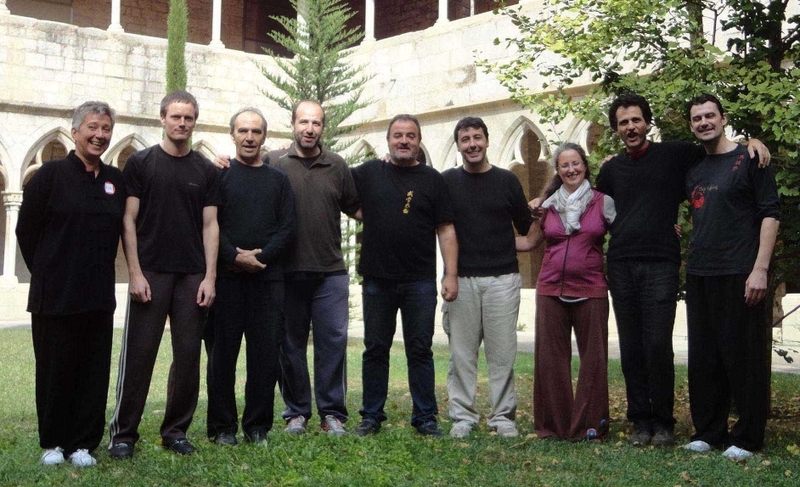 At the round table, Núria clarified the concept of the term "Qigong" is a neologism, spread in the early years 50, and encompasses all ancient techniques aimed at the health and longevity: Dao Yin (Driving Guide the flow and vitality), Yang Sheng (Nourish the vital principle), Only and (Inhale and Exhale), Xing Qi (Promote breathing), Fu Qi (Absorb Vitality), Shi Qi (Nourish the vitality), Lian Qi (Cultivate the vitality), Tiao Qi (Regular vitality), Jing Zuo (Sit and Forget), Zuo Chan (Sit and meditate), Zuo Wang (Sit in Peace). 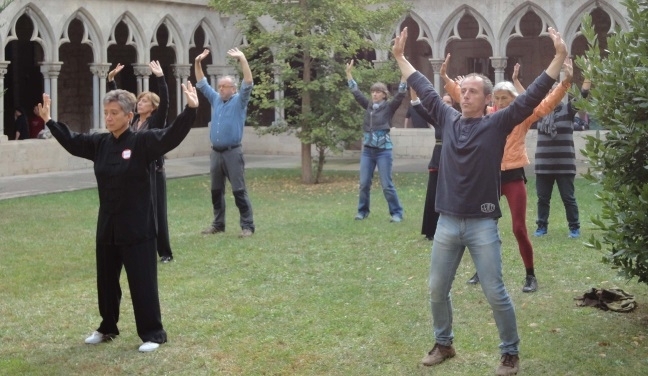 When we speak of Qigong, understand each.